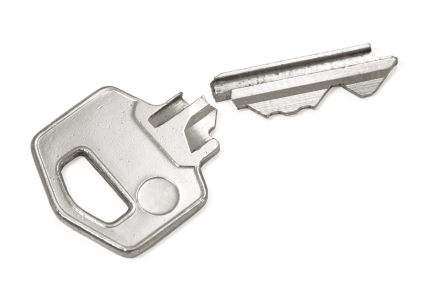 Over time locks don't work as smoothly as they once did causing bent or even broken keys. When a key breaks in a lock, the minor annoyance of a sticky lock has just went from irritating to down right frustrating – not only are you locked out but now your only means of entry is broken. Adams Locksmith understands that not every Scottsdale lock issue is an emergency, however, the ability to access your valuables can be just as important. Let Adams Locksmith, serving commercial or residential properties in Scottsdale, Paradise Valley, Carefree, Northeast Phoenix, Mesa and Tempe, remedy a seemingly hopeless and costly situation. Adams Locksmith can extract the broken key and re-key the lock if necessary. Any damage caused due to the jammed lock can be fixed on-site once the key has been removed. In Scottsdale, Paradise Valley, Carefree, Northeast Phoenix, Mesa and Tempe, contact Adams Locksmith at 480-734-6957 anytime for quick, friendly and skilled locksmith service.